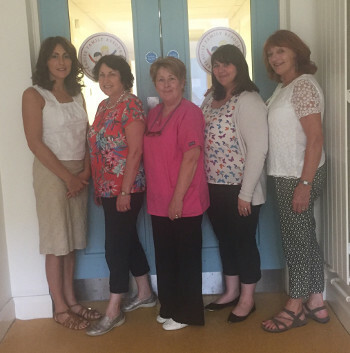 Portlaoise Family Resource Centre (FRC) is one of 108 Family Resource Centres in the country. Family Resource Centres are not-for-profit organisations managed by voluntary management committees and funded by Tusla Child and Family Agency. Every FRC was established to provide a range of supports that help families meet the day-to-day challenges of everyday life. We work to implement a 3 year workplan which is approved by the Department prior to granting our annual funding. This workplan is designed based on the needs of the community. We gather this information through a series of consultations, workshops, focus groups and door-to-door surveys. The information we get from people determines the actions we include in our plan. Portlaoise FRC is the only Family Resource Centre in County Laois. Pam Bergin oversees the management of the Family Resource Centre and the implementation of the 3 Year Workplan. Melissa works with families, young people and teenagers through a variety of programmes including parenting, peer education and youth focused activities. Kathleen McEvoy looks after the administration of the Centre, maintaining the annual budgets & financial returns. Carol Donohoe oversees the management of Suaimhneas Community Creche, ensuring the highest standards of care and adherence to our policies & procedures. Claudette Hales is our resident Psychotherapist. Our affordable counselling service is completely private & confidential.